Help make sure your packages arrive in the same condition you sent them. 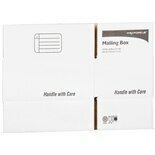 Mailing boxes here at Walgreens.com come in different sizes to fit various types of items that you may need to send. Whether you're staying in touch with loved ones across the country, sending packages for your small business or moving to a new home, mailing boxes from 3M can help. 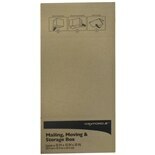 We carry a range of mailing essentials that include packaging tape and package openers. 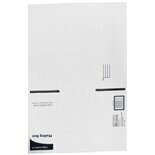 Also browse our wide variety of envelopes that includes clasp envelopes with secure brass fasteners, security envelopes and white envelopes in various sizes. Seal out moisture and dirt with bubble mailers that have a protective layer for important pieces of mail. Make sure your office and desktop at home are stocked with everything you need for everyday tasks. We carry file folders and filing envelopes, as well as correction fluid, scissors and transparent tape. Also browse our selection of pens, pencils and note pads to help you stay organized.